Not in good health since New Years and becoming suddenly ill last Sunday, Mrs. George W. MacDonald, aged and esteemed resident of nearby Tyotown, R.R.1, Cornwall, was conveyed to the Hotel Dieu Hospital and passed away at that institution at noon Thursday. Mrs MacDonald was born on the Tyotown homestead, R.R.1, 79 years ago last November 23, a daughter of Joseph DeRochie and his wife, Bridget Kinsella, her maiden name being Alzina DeRochie. The family came to Cornwall when she was young and she resided here until her marriage, after which she lived at St. Andrews West, just north of Cornwall, for seven years, afterwards returning to the old homestead at Tyotown, where she continued to reside. She was well known in the city and district and her death will be sincerely regretted. Her husband, George Walter MacDonald, died October 5th, 1931. She was also predeceased by daughter Estella, son Earl and by son Dr. William J. MacDonald. Surviving are three sons and four daughters: George E. MacDonald, Prairie River, Sask. ; Dr. Walter A. MacDonald, Victoria, B.C. ; Harold MacDonald, at home; Mrs. L.E.Kelly, Timmins, Ont. ; Mrs. R.P. Quinn, Ottawa; Mrs A.H.Kinnear, Cornwall; Miss Lillian MacDonald, New York City. She was the last survivor of the DeRochie family. 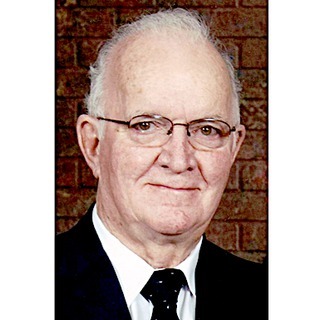 The funeral will be held on Monday morning, May 10, leaving the family home at 9 o'clock, for the Church of the Precious Blood, Glen Walter, for the Requiem High Mass at 9:30 o'clock. Interment will be made in the cemetery at Flanagan's Point. OBITUARY of Dr. William Joseph MacDonald from Rochester Newspaper: Stricken by a heart attack as he was playing golf at Brook-Lea Country Club shortly after 4 p.m. on March 25, 1943, Dr. William J. MacDonald, 45, of 1024 Genesee Pk. Blvd., died before medical aid reached him. Dr. MacDonald, a dentist with offices at 914 Main Street West, was playing with some friends when the attack occurred. A certificate of death from natural causes was issued by Coroner Richard A. Leonardo. He had practised here for about 20 years. Besides his wife, Mrs. Mary M (Geyer) MacDonald, he is survived by a daughter, Miss Marion MacDonald; his mother, Mrs. Alzina MacDonald; three brothers, George, Walter and Harold MacDonald; four sisters, Miss Lillian MacDonald, Mrs. L. E. Kelly, Mrs. Reay Quinn and Mrs. Alfred Kinnear of Canada. On July 2, 2013, Audrey Isabel Macdonald passed away in her sleep at the age of 104 years. Audrey was born and raised in Hamilton, Ontario, the daughter of William and Mabel Laidlaw. She was predeceased by her loving parents and recently by her dear and "slightly younger" sister, Eva Wells. Beloved widow of Alastair Maclean Macdonald, QC, loving mother of Ian Macdonald (Nan), Catherine Swaine (Fred) and Anna Wozniak (Tony). Cherished grandmother of Angus Macdonald (Resham), Duncan Macdonald (Melissa), Lucas Swaine (Meghan), Anna Swaine (Jason), Jessica Swaine (Cody), Daniel Wozniak, Kelly Wozniak (Adrian) and Alexander Wozniak (Lindsay); loving great-grandmother of ten. 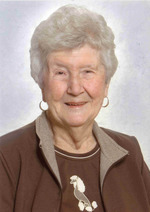 Audrey taught Latin and Physical Education at Glebe Collegiate in Ottawa, and resided in Ottawa for the rest of her life. 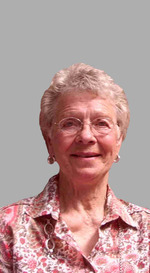 She enjoyed her neighbourhood and friends for the many years she lived on Bayswater Place. She spent her summers at a cottage on Lake of Bays, providing a warm and joyful environment in which the entire family could congregate. Audrey spent her last decade at The Westwood Residence, where she was looked after very well. The family gives special thanks to Dr. Howard Cohen, Fawn Furey (Director of Health and Wellness), and the many staff members who cared for her. We especially thank Chita Flores for the wonderful care she gave to Audrey. Cremation has taken place. Arrangements have been made at Hulse, Playfair & McGarry. A private family interment will be held at Beechwood Cemetery. "Ian, Cathy & Anna, I have fond memories of your mother and..."
Passed away on September 14, 2013. Born in Ottawa on June 5, 1931. Predeceased by parents Kitty and Jack MacDonell and siblings June Ross and Jack and Bud MacDonell. Loving widow of Captain Andy Dupont OFD. Also predeceased by infant daughter Tracy Ann, in 1961 and daughter Colleen, in 2010. Mother of Michael Hannas, Alyson Hannas, Tony Hannas (Susan Muir) and Paul Hannas (Kathleen Hamilton). Grandmother to Dylan, Ella, Piper, Georgi and Tabitha. Will be remembered for her friendship by niece Katherine Pauch. Graduated from Notre Dame Convent, Ottawa, and Hotel Dieu Hospital School of Nursing, Kingston, Ontario. Served as Nursing Sister RCAF during the early years of the Cold War in Canada and France, then as a civilian nurse at NDMC Ottawa. Continued to nurse, until retirement, in 1996 in the Ottawa Hospitals, mostly at CHEO. Sincere thanks to the doctors and nurses at Elisabeth Bruyere for their excellent care. Friends may call at the Garden Chapel of Tubman Funeral Homes, 3440 Richmond Road (between Bayshore and Baseline Road) on Friday, September 20, 2013 from 1-5 p.m. Funeral Mass will be celebrated at St. Isidore Roman Catholic Church, 1135 March Road on Saturday, September 21, 2013 at 11a.m. Please, no flowers. If you wish please give donations to the Ottawa Humane Society, The Shepherds of Good Hope or World Vision. Condolences, tributes or donations may be made at www.tubmanfuneralhomes.com. Passed away peacefully at the Glebe Centre on Friday, April 5th in his 86th year. Beloved wife of Katherine MacDonald (nee Derby). Loving son of the late T. Duncan MacDonald and Eva (nee Robinson). Dear brother Verna MacDonald and the late Thomas Alfred MacDonald. Brother-in-law of Barbara Derby and the late John Derby. Dear uncle of Allan Derby, Brian Derby (Joanna Kent) and great- niece and nephew Lillian & Winston Derby. 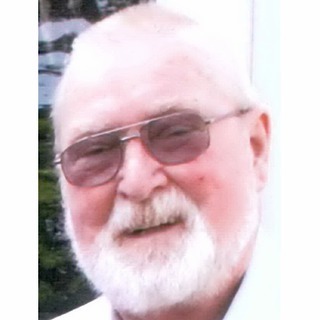 Harold worked for over 34 years at C. M. H. C and was a long-time member of Dominion Chalmers United Church. He was an Elder for over 40 years and served on various committees. Harold's interest & hobbies included curling, gardening, travelling and cottaging at Crown Point on the Ottawa River. Family and friends will greatly miss his warm smile and friendly manner. The family wish to express their deep gratitude for the excellent and devoted care provided by the Glebe Centre BP2 staff. Peacefully at the Glengarry Memorial Hospital with family by her side, on Saturday, August 4th, 2012. 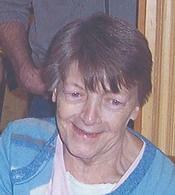 Martine Joan McDonald (nee Guindon) of Maxville; age 80 years. Predeceased by her husband Duncan McDonald. Dear Mother of Bruce McDonald (Betty) of Maxville, Duncan Joseph “predeceased”, Marilyn Blair “predeceased” (Terry) of Moose Creek, Larry McDonald (Susan) of Monkland, Stewert McDonald (Horacio) of San Francisco, Ian McDonald (Sylvie) of Maxville, Janice Metcalfe (Ron) of Maxville, and Sandra Sauve (Hubert) of Maxville. Dear grandmother of Scott, Melanie (Max), Justin (Erin), Jonathan, Joey, Margaret, Nathan (Teri-Lynn), Cody, Taylor, Robbie, Stacey, David. Dear great-grandmother of Miranda, Duncan, Gwendolyn. Fondly remembered by her sisters & brothers Claire Lefebvre (Russell)”predeceased”, Sister Phyllis, Shirley Villeneuve (Roger), Charles “Buddy” Guindon (Odette), Sylvia Douglas (Allen), Phil Guindon (Mary Lou), Mary Lacelle (Richard), Jean Caya (Luke). Predeceased by sisters & brothers Rene Guindon, Eileen Lefebvre (Wilmont), Beatrice Lalonde, Marie Guindon, (Gordon), Doreen Hayman (Jack)”predeceased”, Hubert “Sonny” Guindon (Terry), Lorraine Besner (Ernie)”predeceased”, Peter Guindon (Marie-Paul). Relatives and friends may call at the Munro & Morris Funeral Homes Ltd., 20 Main St. South, Maxville (613-527-2898) on Tuesday, August 7, 2012 from 2-4 pm and 7-9 pm and on Wednesday from 12 noon until 1:30 pm. A Mass of Christian Burial will be celebrated in St. James Catholic Church, Maxville on Wednesday, August 8, 2012 at 2 pm. Cremation will follow. In lieu of flowers memorial donations to the Maxville Manor Foundation would be appreciated by the family. As a Memorial to Martine a tree will be planted in Memory Woods. A tree grows-memories live. MacDONALD, Ronald Joseph - Retired - OPP Renfrew - Peacefully, with family by his side, Friday, October 5, 2012, at the age of 80. Beloved husband and best friend of Vanita (nee Doth). Loving father of Susan Burnett (Dan) and Donna Nadeau (Mark). Cherished “Papa“ of Kyla Armitage (Ryan), Caitlin and Brennan Burnett and Trevor Nadeau. Loving brother of Flora MacDonald. Cherished brother-in-law of Stella Metcalfe (Harvey), Claire Besner (late Bruno), Gilles Doth (Irene) and Claude Doth (Doreen). Survived by many devoted nieces and nephews. Predeceased by his parents Archie and Flora of Greenfield, sister Mary Servage (late George) and brother Donald (Audrey McAllister). Special thanks to the wonderful team at the Queensway-Carleton Hospital ICU, we will never forget your compassion and excellent care. Friends may pay respects at the Kelly Funeral Home, Kanata Chapel 580 Eagleson Road, Kanata, ON, K2M 1H4 613-591-6580 Tuesday from 2 to 4 and 7 to 9 p.m. Funeral Wednesday to Holy Spirit Catholic Church, Stittsville for Mass of Christian Funeral at 11 a.m. In memoriam donations to the Anaphylaxis Canada or Queesnway Carleton Hospital Foundation ICU are gratefully appreciated. www.kellyfh.ca 12014815 More Sharing ServicesShare|Share on twitterShare on facebookShare on emailShare on print Presented By The Standard Freeholder, Cornwall, Ont.